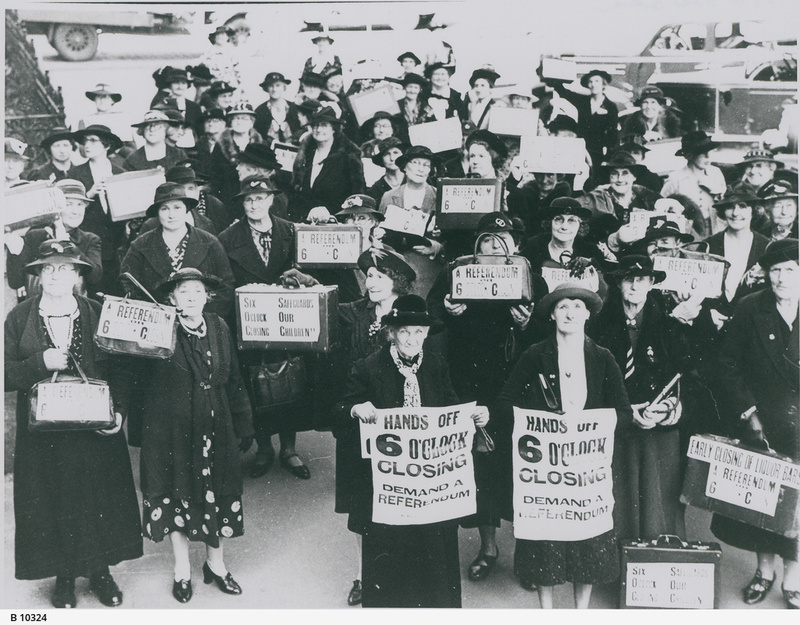 During the First World War restrictions on hotel opening hours were imposed. 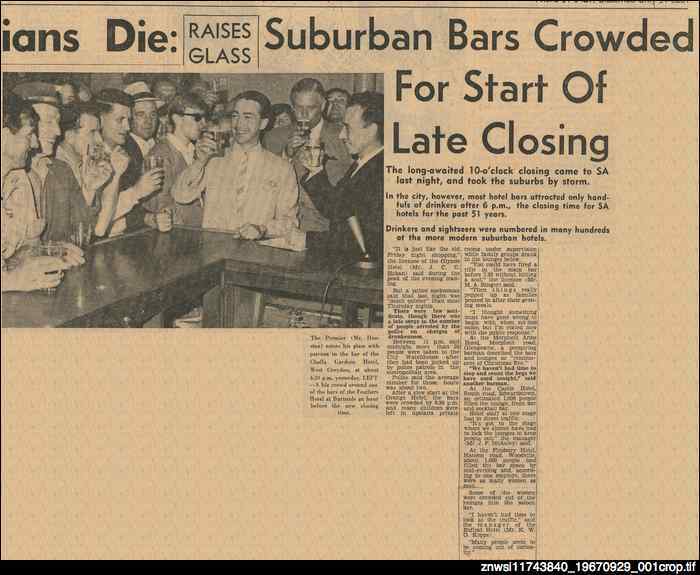 Pubs throughout Australia were required to close at 6 pm - introducing the infamous '6 o'clock swill' where, close to closing time, patrons would consume as much beer as possible before they were obliged to leave the premises. South Australia was the last state to change these laws. It did so in 1967, introducing 10 o'clock closing under the premiership of Don Dunstan.